For every school designated for closure, CPS has identified one or more receiving schools that will welcome students currently enrolled at the closing school. However, what happens to future students and children not currently enrolled who would have otherwise attended the school that might close? As a result of this action, all returning Morgan students will be welcomed at Ryder, located at 8716 S. Wallace St. It would be easy to assume that a receiving school is automatically the new neighborhood school. 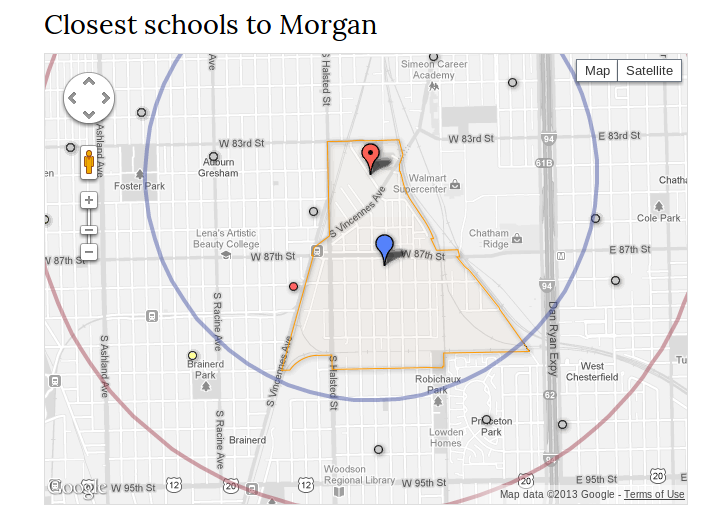 If my address is currently within Morgan’s attendance boundary, I see that Ryder is the receiving school for Morgan. Will my 2 year old or my future children attend Ryder? When is a Receiving/Welcoming school not your neighborhood school? On our SchoolCuts page for Morgan you can see the proposed boundary for Ryder. To the North the boundary ends at 83rd St. If you look at the current Morgan boundary you see that it extends farther north to 80th St and also goes several blocks west of Halsted. 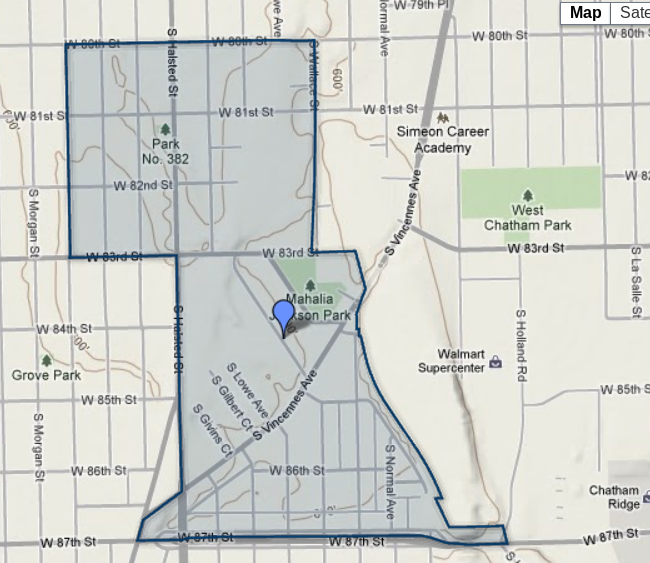 These areas north of 83rd St will NOW fall into either Wescott or Gresham’s attendance boundaries. For people living in these areas their new neighborhood school will be Wescott or Gresham. In these cases where the receiving schools’ new attendance boundary does not overlap entirely with the closing school’s current attendance boundary, what happens for future students and children not currently enrolled at the closing school? The geographic boundary currently associated with Morgan will be reassigned to Ryder, Gresham, located at 8524 S. Green St., and Oliver S Westcott (Westcott), located at 409 W. 80th St. This means that Ryder, Gresham or Westcott, depending on the student’s home address, will be the new neighborhood school for students living in the Morgan boundary who are not currently enrolled at Morgan. For someone living at 8110 S Green St the current neighborhood school is Morgan BUT the future neighborhood school is Gresham. So a 2nd grade student living on this block will be welcomed at Ryder next year but his or her 1 year old sibling or neighbor would attend Gresham in the future based upon these neighborhood attendance boundaries. It is important to remember that the designation of “receiving” appears to be only applicable for currently enrolled students. Look at section “II. Summary of Action” of the CPS Transition Plan for your school to see which if any additional schools will become new neighborhood schools in that attendance area. Here at SchoolCuts, we are working to identify these situations and to make it easier to determine your future neighborhood schools.